Concordia’s men’s basketball team had two important games to finish the season. On Thursday the Stingers hosted the Bishop’s Gaiters at Concordia Gym before travelling to square off against Laval on Saturday. On Thursday the Stingers hosted the Bishop’s Gaiters at Concordia Gym before travelling to square off against Laval on Saturday. home during the playoffs. The Stingers needed consecutive wins against Bishop’s and Laval to ensure a second place finish and more importantly home court advantage in the semi-finals. Against Bishop’s, the maroon and gold were hungry right from the opening tipoff. A 7-0 run inside the first three and a half minutes gave Concordia a 9-2. Guards Kyle Desmarais and Morgan Tajfel each had a good opening quarter. The duo combined for more points than the entire Bishop’s team after the first 10 minutes. Desmarais had nine points, while Tajfel had six. The Stingers led 20-13. The Gaiters turned up the tempo in the second quarter. The visitors opened the frame with eight unanswered points and eventually took a slim one point lead. Both teams traded baskets during the remainder of the quarter. There were a total of six lead changes in the second alone. The game was tied at halftime, 33-33. The action continued to go both ways in the third quarter. A string of early baskets gave the Gaiters a two possession lead early in the frame. Concordia would always find a way to reply and never let their opponents run the score. The Stingers fought back and had their own five point lead just after the midway point of the frame. By the end of the third, Bishop’s was leading 49-48. ConU went all out in the final 10 minutes. Their success defensively translated directly to their success on offence. For the first six minutes, the Stingers’ strong defence only gave up five points to the Gaiters. In the same time, but at the other end of the court, Concordia scored 17 points to go up a game high 11 points. 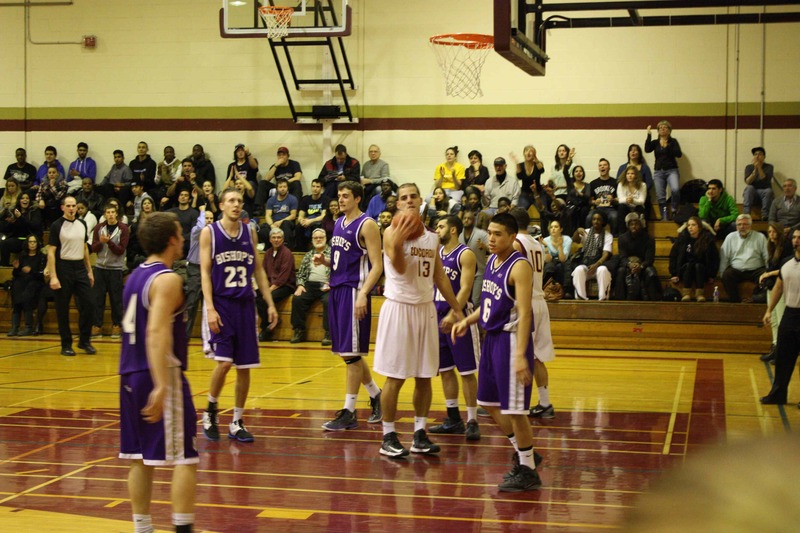 The Gaiters clawed their way back to within six points, but the Stingers held on to a 72-63 win. “We’re in a position where we need to prove ourselves and prove to other teams that we are the number one team in Quebec,” said Tajfel, who ended the game with a double-double of 18 points and 12 rebounds. On Saturday, Concordia and Laval couldn’t be separated in the first half. The Rouge et Or took a sizeable lead in the third quarter and went on to win 84-62. The Stingers finish the season in third place and will travel to Bishop’s on Wednesday in the opening round of the RSEQ playoffs. The rematch from Thursday night is scheduled for 7 p.m. The game is available online.